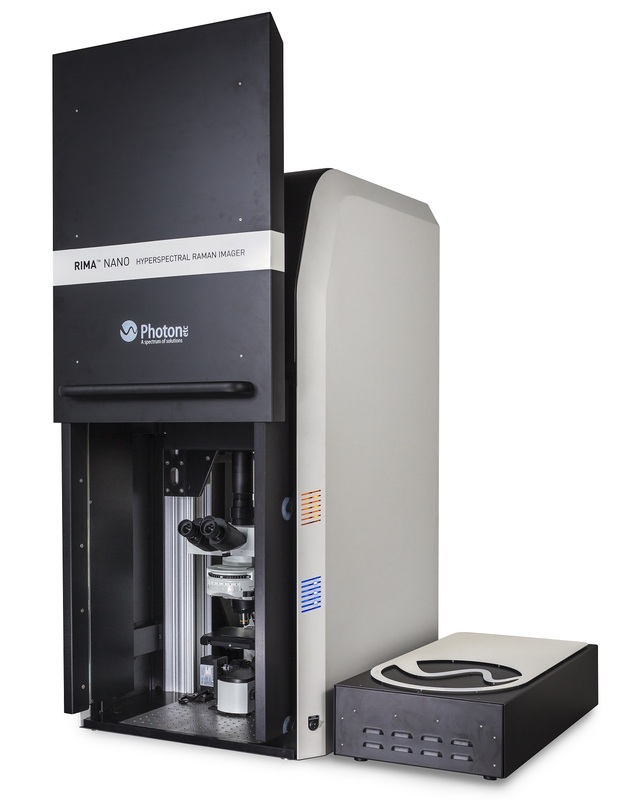 The perfect Raman imager for the analysis of nanomaterials from graphene to carbon nanotubes, RIMA™ NANO is a state-of-the-art ultrafast hyperspectral imager available at excitation wavelengths of 532 nm, 660 nm and others. Investigation of CVD monolayer graphene with bilayer island is performed with RIMA. Large area maps of defects, number of layers and stacking order is used to rigorously study the growth conditions. RIMA™ was tested with a Si substrate where a pattern of Ti has been deposited. We clearly observe the main Raman mode from the Si substrate whereas no signal is coming from the Ti pattern. The Photon etc video shows the conceptual difference between hyperspectral global imaging and raster scan (line-scan, push-broom). With global imaging, the gain in acquiring 3D data, 2D spatial and 1D spectral, is important since the only a few monochromatic images are required to cover the complete spectral range where one needs to take the full spectrum for each point or line in the image with other technologies.